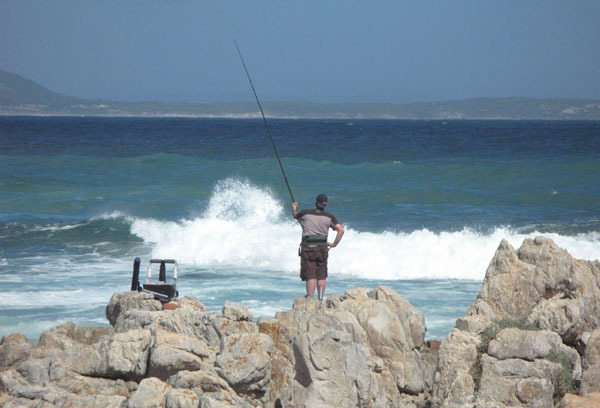 Gone Fishing » Blog Archive » Kleinmond. 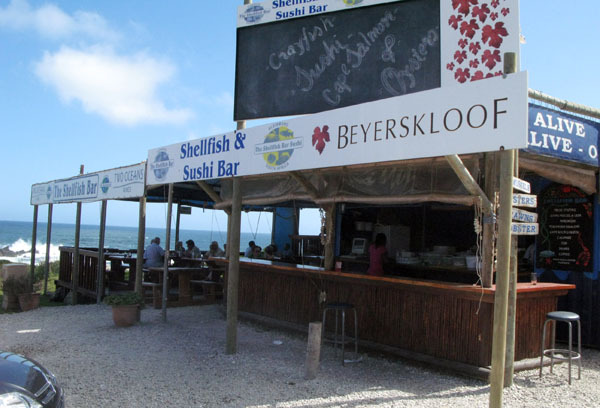 The last of the 4 sea-side villages along the R44 , after Betty’s Bay, is Kleinmod which lies on a lagoon at the small mouth – hence the name – of the Botriver on a narrow strip of land hugged on the one side by the Palmiet Mountain range and on the other by the Atlantic Ocean. 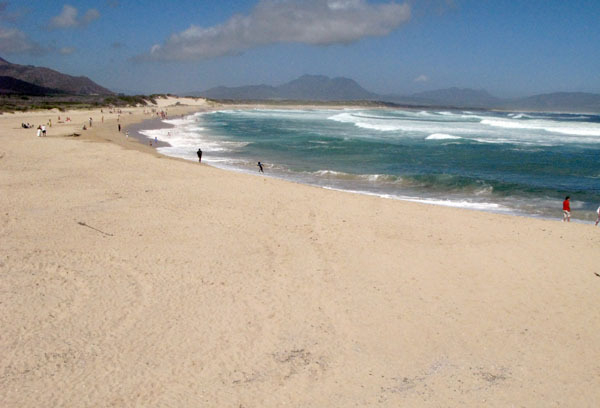 Despite its beauty and relative peacefulness, Kleinmond is the largest of the four coastal towns and as such, serves as a commercial centre for the Hangklip-Kleinmond area. Traditionally a retirement village, the town comes alive during holiday season and is renowned for large numbers of crayfish (lobster) in summer and whale watching in winter. As with the others it is also part of the UNESCO declared Kogelberg Biosphere Reserve. Kleinmond lies at the mouth of the Bot River Vlei, an important wetland, which has become home to a herd of feral horses that have adapted to life in the marshy conditions. They are occasionally spotted by visitors on walks or canoe trips in the estuary. 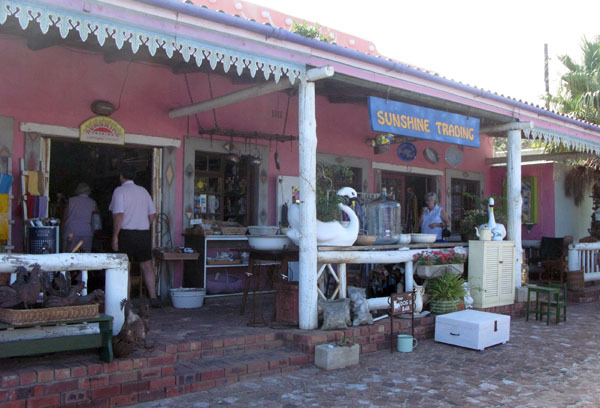 All four villages are famous for the annual visits of the Southern Right Whales and have a wide variety of bird life. 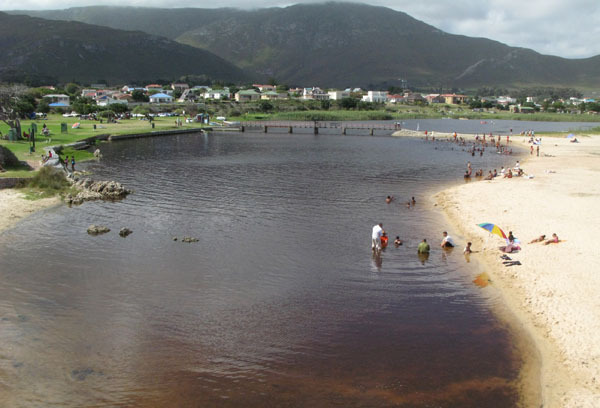 Just before you get to Kleinmond you cross over the Palmiet River. You can experience the river during both the low summer months and in winter when this friendly stream becomes a torrent of class 3+ white water. There are tour operators in the area and people with their own kayaks can explore the Palmiet and Bot Rivers lagoons,estuaries and vleis. Harbour Road is the place to be. 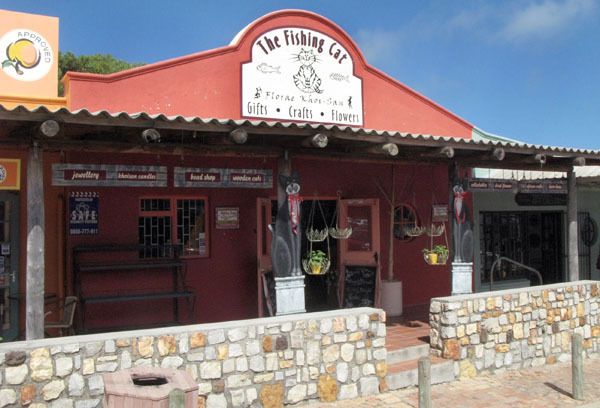 There are wonderful small shops to explore, awesome galleries and craft stores and the seafood restaurants serve the freshest fish in town. 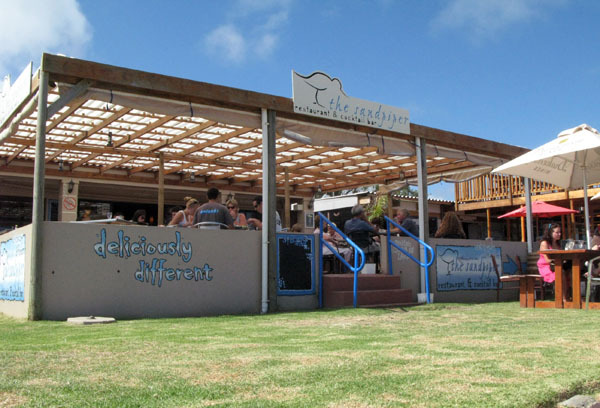 “Deliciously Different” looked like one of the more popular eating spots. If you are into Sushi this is the place tp be. The shops and restaurants are situated just above the small harbour. 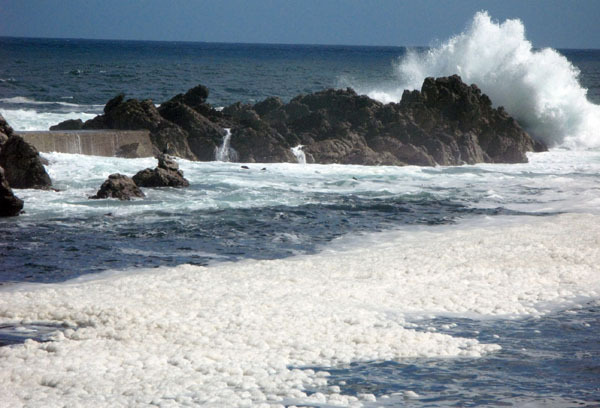 There was quite a big sea running and I was fascinated by the foam caused by the sea action against the rocks. The houses come in all shapes and sizes but I rather fancied this one overlooking the beach and lagoon. The beach here, although not great for swimming, is perfect for fishing. The safe, cool waters of the lagoon which is next to the main beach. Fishing from the rocks while the family enjoy themselves at the beach about 50 meters away. There are also 2 caravan parks in the area, one at Palmiet River and the other just as one leaves the town on the left hand side. To be honest I would love to have spent more time (and money) in the area but I found their prices and new high season dates to be totally ridiculous. I know for a fact that sites at both parks were charged out at R75 per day last year are now charged at R240 plus R30 for electricity. That is crazy and I really hope that the municipality come to it’s senses soon as they, and the surrounding towns, are loosing a lot of tourist money. 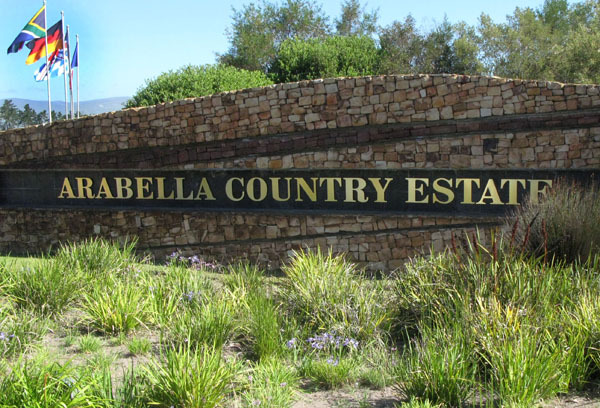 A few km’s outside of Kleinmond is the Arabella Country Estate which overlooks the largest natural lagoon in South Africa. 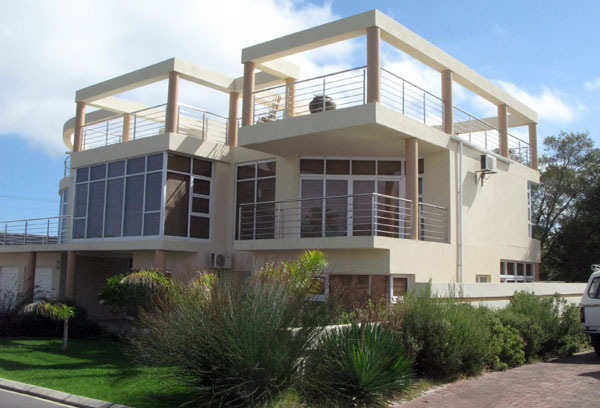 Situated just 20 minutes away from Hermanus it has a variety of dining and entertainment options and the award winning 18 hole championship golf course which is rated as one of the best courses in the Western Cape. Congratulations on a fine and informative Blog. I’ve taken the liberty of adding a link at the trivago travel community of which I am a member. Perhaps you may wish to also contribute directly there? Hi pierre – thanks for dropping by and for the link. I hope you have some kind of influence to get the prices and the high season dates of the 2 caravan parks changed back to where they should be. Hi, I phoned Palmiet & Kleinmond Caravan parks this week (Sept 2011) and after a battle got hold of the “manager” of the parks. I was told the fees are back to R75 at both parks out of season. I will be caravaning there for a few days middle October. Hi P-J that is indeed good news. I was told, by the manager another park which falls under the same pricing structure, that they new they had made a BIG mistake and were going to adjust the prices downwards. 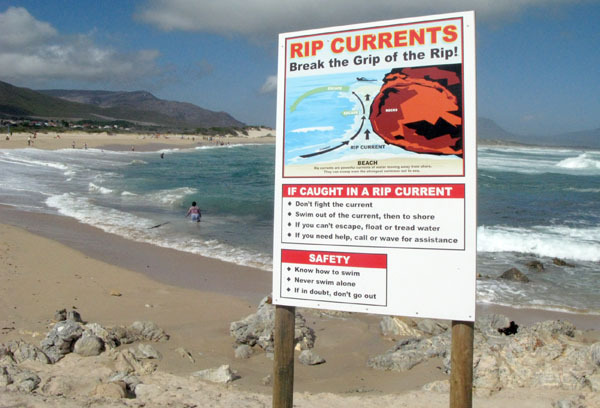 It will be interesting to hear from you as to how good the camps are now as I was told that the one at Kleinmond had security problems and bad management controls.